Many people know me as the Founder and Denver Coordinator of the children’s charity Project Linus, which has provided almost 5 million security blankets to seriously ill and traumatized children around the globe. 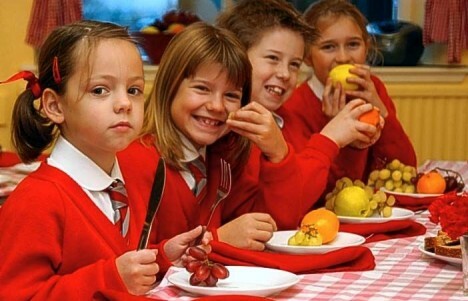 However, improving the health of all, especially children, has been a high priority throughout my life. One of my first jobs out of college was as a donor recruiter and retention coordinator for a plateletpheresis center near Los Angeles. Coordinating fundraisers through Mile High Polo in Colorado assisted many pediatric oncology patients. Working at Children’s Hospital as an EMT and volunteering with Rattlesnake Fire Department as a Firefighter and EMT gave me experience as a front line patient caregiver. Other times, I have been able to assist in ways that millions of others do including something as simple and non time-consuming as the act of donating blood. However, if medical is not your “cup of tea”, there are many other ways you can help insure the health of children. I’m known in my neighborhood as the “Healthy Neighbor”. Children know if their school has decided to fundraise with cookie dough, I won’t be supporting that endeavor. However I do buy discount cards and other non junk food items. Kiddos knocking on my door know they are always welcome however will not be handed a cookie or slice of cake. Instead, they will probably get to enjoy the simple pleasures of dried mangos, apricots, apples, bananas or even dates. Believe it or not, they like it and come back for more. Being a good example is one way we adults can assist kids in being the healthiest that they can be. 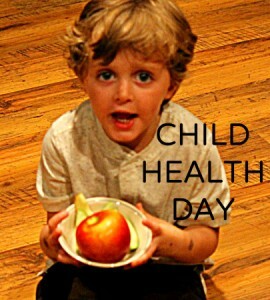 Today is National Child Health Day. What will you do to honor this concept? Child Health Day is an United States Federal Observance Day that is observed, each year, on the first Monday in October. On October 4, 2013, President Barack Obama signed a Proclamation proclaiming Monday, October 7, 2013, as Child Health Day. Each year since 1928, under a joint Resolution of Congress, the President of the United States has proclaimed Child Health Day. This day was originally celebrated on each May 1 until 1960 when the date was changed to the first Monday in October of each calendar year. In a response to a plea from both the American Federation of Labor and the General Federation of Women’s Clubs to proclaim the day, United States President Calvin Coolidge was the first president to issue a Child Health Day Proclamation while the resolution was still pending in Congress. Karen Loucks Rinedollar is a speaker and author who makes the world a better place through positivity. She has appeared on Oprah and NBC Nightly News with Brian Williams for her work with Project Linus. A special thanks to http://nationaldaycalendar.com/2013/10/06/october-7-2013-national-frappe-day-national-child-health-day/ for the information on National Child Health Day. « Was 9/11 a Character Developing Experience?